Dynamic duo Major Lazer and Bacardi continue to join forces in their “Sound of Rum” campaign, with the addition of a new Snapchat lens that allows fans to create music videos out of augmented selfies. To Major Lazer’s “Front of the Line” song, fans can have their selfies appear in the video covered in flashing lights, with Bacardi bottles around their head, or in an orange vortex. 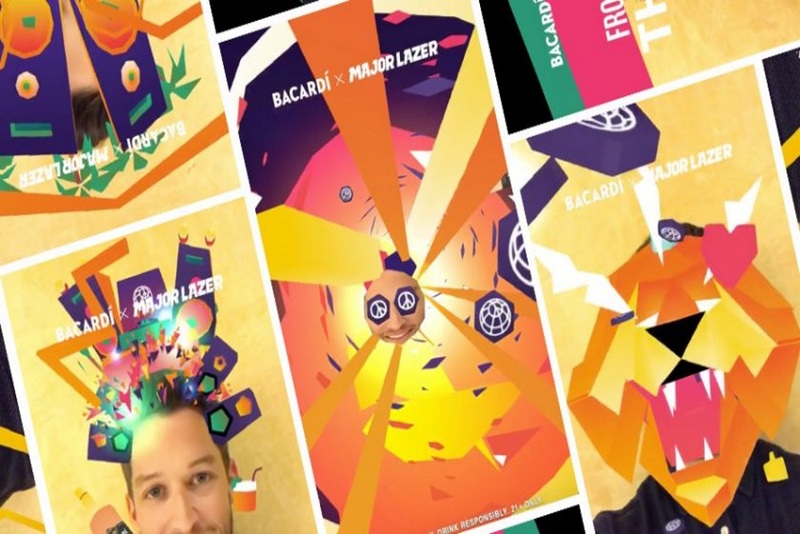 After the Snapchat lens launched on June 22, fans had 24-hours to submit their video for a chance to win a part in a three-minute animated music video Bacardi was making out of the entrees. Fans can still access the Snapchat lens through Bacardi’s Facebook and Twitter page.